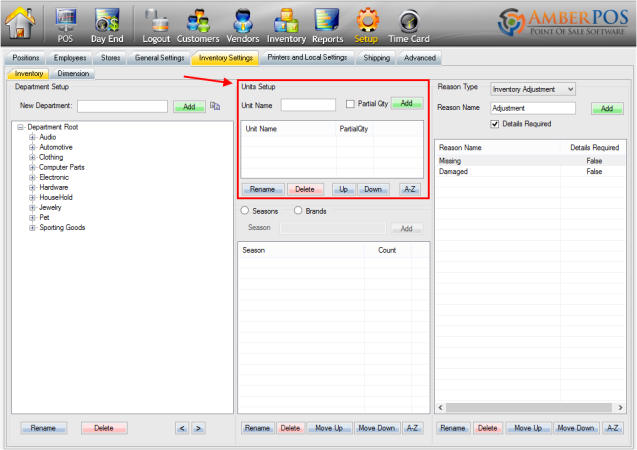 Setting Up a Weigh Scale for AmberPOS – Pacific Amber Technologies Inc. Step 1. *Optional if external display required for scale* Plugin the remote display cable to the port. Step 2. Plugin the respective end of the serial port cable to the scale, and the other end to your computer. (Usually requires adapter for serial-to-usb). Step 3. Plugin the respective end of the power cable to the scale and the other end to an AC socket. 3. Select the tab near the top of the screen. 6. Overview of Weight Scale Menu in AmberPOS located in the top right corner. Step 2. The Scale Type: section is where you select the type of scale being used. 7. Weight can ONLY be applied to a SKU that has Partial Qty enabled and a Unit Type selected. 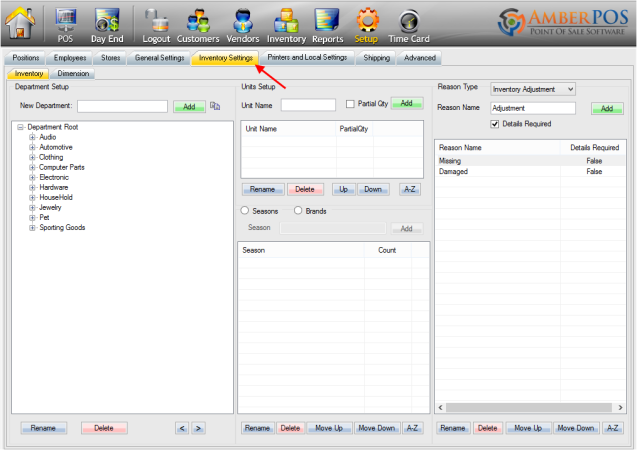 To access these settings, enter the Inventory screen and select the SKU to change the settings for. 8. Enter the POS screen, ensure all the cables for the scale are correctly plugged in, place the physical SKU with the edited settings (as shown above) on top of the scale, then make a sale for the SKU. If the scale is properly functioning it should show the weight of the object on the scale in POS as shown in the image below.